Freshwater habitats and the ecosystem services they provide play a significant role for biodiversity conservation and human well-being. 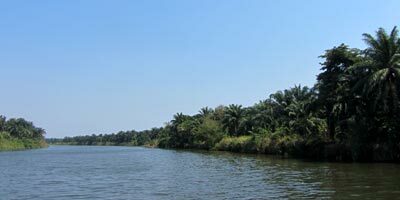 Despite their value and importance, many lakes, rivers, and wetlands in the African great lakes region are being severely degraded by human activities and are declining at a much faster rate than terrestrial ecosystems and non-sustainable exploitation of freshwater resources is a primary cause of various issues such as soil erosion and sedimentation, pollution, conflicts and inefficient water allocation and use. Given the large numbers of vulnerable people and the high level of threat to the ecosystems of the African Great Lakes region, this region is regarded as a conservation hotspot by many conservation stakeholders and increased effort is being directed towards understanding the drivers of change and ways to address threats affecting freshwater ecosystem in this region. The African great lakes region is composed of four basins namely the Lake Victoria basin, Lake Tanganyika basin, Lake Malawi basin, Lake Turkana basin, and the Upper Nile basin. The region straddles 11 countries (Ethiopia, South Sudan, Kenya, Uganda, Tanzania, Rwanda, Burundi, Democratic Republic of Congo, Zambia, Malawi and Mozambique) and is known to be one of the population centres of the continent. 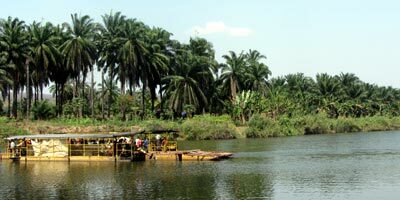 Given the fact that many families are poor and therefore rely heavily on natural resources to derive their livelihoods, the natural ecosystems in this region including freshwater ecosystems are submitted to an increasing pressure through overuse of resources (e.g. overfishing) which lead to progressive degradation of the ecosystems and habitat loss for the many species they host. 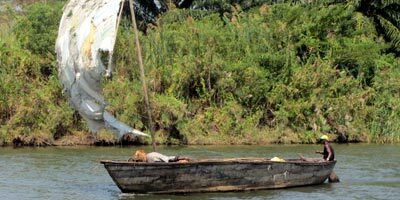 ARCOS and its partners are contributing to the MacArthur Foundation’s Conservation Strategy in the African Great Lakes Region through collaborative actions that address major issues affecting freshwater services in the region. Under this initiative, civil society actors are supported to conduct activities that encourage sustainable water services, land management and farming practices as well as community ecotourism in a bid to achieve integrated water resources management of the freshwater resources in the region. This platform has been developed to allow stakeholders track the progress towards the achievements along various conservation targets that have been set as well as allow policy makers and the public get accurate and well-structured information on the status of habitats, species and ecosystem services in this region.